Employees had to undergo autism sensitivity and awareness training to better understand kids with special needs. Sesame Place in Bucks County is the only theme park in the country to be autism certified. Pennsylvania's Sesame Place has become the first theme park in the world designated as a Certified Autism Center (CAC), saying it has committed to special training for workers and assistance for families with children on the autism spectrum. The Langhorne, Bucks County-based park, which opens for its 38th season on April 28, announced this week that staff-wide autism sensitivity and awareness training had been completed, allowing for the park's distinction as a CAC. According to a release Monday on World Autism Awareness Day, this training covered the areas of sensory awareness, environment, communication, motor and social skills, program development and emotional awareness. “As the first theme park in the world to complete the training and become a CAC, Sesame Place is better equipped to offer families inclusive activities for children with autism and other special needs,” Sesame Place President Cathy Valeriano said in a statement. According to the release, one way Sesame Place will be better equipped is through the installation of two quiet rooms on Sesame Island complete with adjustable lighting and comfortable seating. Before even entering the park, parents will be able to receive pre-visit assistance, such as a sensory guide developed by IBCCES to help them plan activities catered toward their child's specific needs and accommodations. Parents can use the guide to find out how a child with sensory processing issues might be affected by each attraction. Another way Sesame Workshop, which owns not only the park but also the "Sesame Street" franchise, has helped spread awareness is through the introduction of Julia, a muppet with autism. Julia made her debut on "Sesame Street"last spring, and not long after she began visiting with park-goers at Sesame Place. 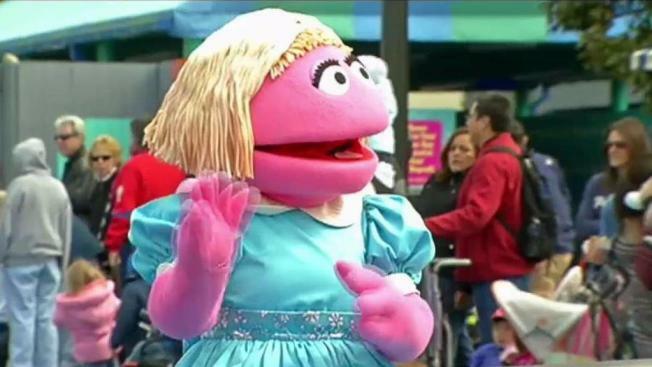 “Since her debut, 'Sesame Street’s' Julia has touched the lives of millions of children and families around the world and we’re proud that partners like Sesame Place are committed to providing autism-friendly experiences,” said Scott Chambers, senior vice president and general manager of North America media and licensing, Sesame Workshop.